Subway® Sprocket Rocket Programme continued at Coláiste Iósaef Secondary School Kilmallock on Saturday 23rd April. Week 3 and the weather again was perfect for the little rockets to learn another three cycling skills. The young rockets enjoyed learning three challenging balancing and bike stopping skills. One challenging balancing skill was to cycle in to a square and balance for as long as possible, a very difficult skill but the rockets are improving every week and made this skill look easy. Well done rockets. Week 4 next Saturday 30th April at Coláiste Iósaef Secondary School Kilmallock from 4.30pm to 6pm. Remember to practice your skills during the week. Southside Wheely Wheelers Cycling Club. Subway® Sprocket Rocket Programme continued at Coláiste Iósaef Secondary School Kilmallock on Saturday 16th April. Week 2 and the weather was perfect for the little rockets to learn another three cycling skills. 88 youths enjoyed learning three challenging balancing and bike stopping skills. One challenging balancing skill was cycling along a wooden beam and cyclists were very quick to learn this difficult cycling skill. Well done rockets. Week 3 next Saturday 23rd April at Coláiste Iósaef Secondary School Kilmallock from 4.30pm to 6pm. Remember to practice your skills during the week. Southside Wheely Wheelers cycling club are working with Cycling Ireland to promote Underage Cycling and this is called the SUBWAY® Sprocket Rocket Programme. Southside Wheely Wheelers cycling club had 88 young cyclists sign in for the first fantastic fun evening of cycling skills training on Saturday 9th April 4.30pm to 6pm. Each rocket received a free cycling helmet, a t-shirt and a skills logbook that will be filled out by the skills instructor for each rocket to receive at the end of the 8 weeks cycling skills programme. Each rocket was assigned to a cycling skills instructor and each rocket started an M safety check on their bicycle before learning the first three cycling skills. The event is a fun way to learn cycling skills. 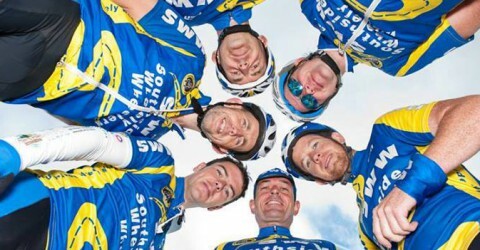 Southside Wheely Wheelers cycling club look forward to Week 2 on Saturday 16th April 4.30pm to 6pm at Coláiste Iósaef Secondary School Kilmallock.